The Single Outcome Agreement is the means by which Community Planning Partnerships agree their strategic priorities for their local area and express those priorities as outcomes to be delivered by the partners, either individually or jointly, while showing how those outcomes should contribute to the Scottish Government’s relevant National Outcomes. Through CPPs, local leaders work with communities, the third and private sectors to develop the long term vision for the area and work towards that vision. The type of structure developed by many CPPs to meet the Single Outcome Agreement is often similar to the one shown above. A number of objectives are produced with subsequent groups responsible for developing strategies to meet a specified objective. 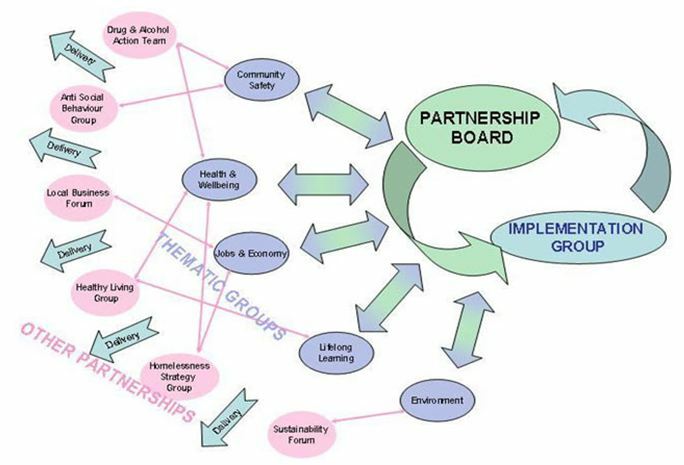 For more information abou the Glasgow CommunityPlanning Partnership, click here. Sana Razvi, Planning Intern, VERTICES, LLC. Its exciting to find a community mapping site that spans the North American continent, directed towards community as well as goals. Mapmyfitness.com is a website for fitness enthusiasts of all levels who tackle terrain of all types. 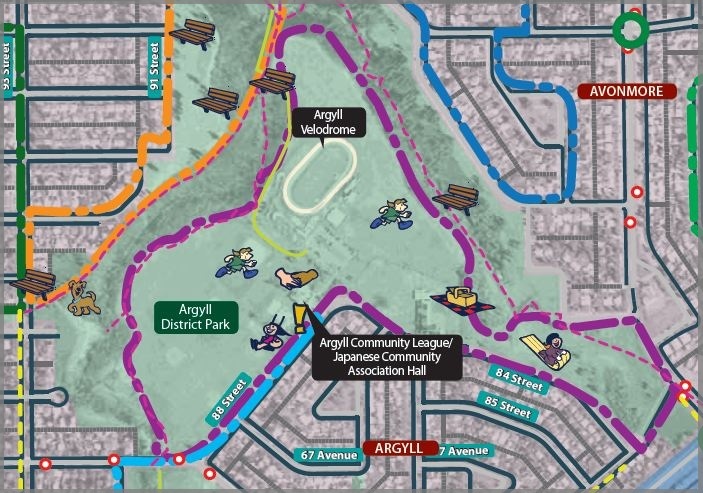 The site includes activity-specific sites for runners, cyclists, walkers, and hikers (e.g. mapmyrun.com, mapmyhike.com etc). When you enter the site, you can immediately search for routes, challenges and fitness partners in your area. You can map your run with an Ipod thanks to Ipod 3G’s GPS technology and with the iMapMyRun app upload your run to the site immediately to use privately or share with other members. While the service is provided for free, there is the option to upgrade to one of three levels of premium service for varying monthly fees in order to get more comprehensive training tools, progress tracking and eliminate advertisements from the site. For more information and/or to join the online fitness community, click here. Jane Jacobs is a name that is part of the toolkit of every North American urban planner. The woman who was known for her bold advocacy of short blocks, mixed use communities, and the importance of sidewalks. She stated that sidewalks served three purposes: safety, human contact and assimilation of children. Like Jacobs, the City of Edmonton I advocates the importance of walkable communities and seeks to achieve it in the City. Walkable Edmonton is an initiative from the City of Edmonton in the Canadian province of Alberta, that seeks to encourage walkability in Edmonton communities and promote pedestrian mode of transport. A key project of the initiative is the ‘Communities on Foot Map series’ that is composed of a number of Community Walking Maps. The creation of Community Walking Maps follows the belief that people will be more likely to take to the sidewalks if they are given a pedestrian walking guide to their community. The maps themselves are produced by workshops that engage community volunteers to identify walking routes to be created into maps to be disseminated to the community. Routes are of varying difficulty and length, the distance of each route is conveniently provided through a colour coded legend. Points of interest (i.e. cafes, convenience stores, schools etc) have been placed on each map as well. To learn more about the Communities on Foot map series, click here. See the world we come from: there’s no green there. They’ve killed their mother, and they’re going to do the same thing here. ~ Jake Sully (Avatar, 2009). Dubbed one of the 'gnarliest' Old Growth trees in Avatar Grove. Photo credit: TJ Watt. 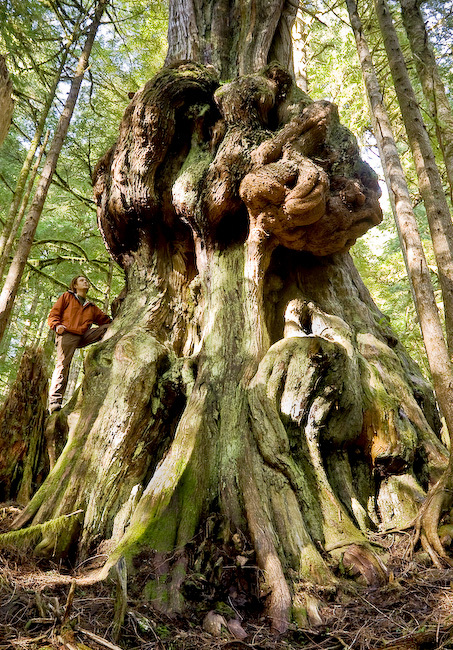 Avatar Grove has been approved for logging, prompting a campaign from local groups including AFA and VIC FAN (Vancouver Island Community Forest Action Network). So far the campaign has entailed walks to the location fo the public and media, a protest in downtown Vancouver, and a photography contest on facebook calling for pictures of the biggest stumps in the area. VIC FAN has launched a Wild Coast Mapping Project to map the southwest coast of Vancouver Island from Sooke to Port Renfrew. Data has been collected from observations and local knowledge of students and Island residents making the project a community mapping exercise. VIC FAN’s next community event is a ‘Wild-Coast campout and eco-survey’ that will take place from July 31st to August 2nd. The organization hopes engage community volunteers to document ecologically-sensitive karst in Avatar Grove that would provide a compelling case for the province to protect it from logging. To learn more about VIC FAN’s Wild Coast Mapping Project and how you can get involved, click here. ‘The River’s Tale’ is a poem written by Rudyard Kipling almost a century ago in colonial India. Kipling believed that should a River be granted the ability to speak, it would tell a story of its travels, similar to the one in his poem. Although no River has been granted such an ability, people have taken it upon themselves to tell its story and guide others to explore its path. The Mississippi River is a prime example. The Mississippi River Trail consists of 3,000 miles of bikeways (both on-road and off-road) and pedestrian pathways that follow the Mississippi River from its headwaters in Itasca, Minnesota to the Gulf of Mexico. The Mappler® community mapping tool was utilized to create accessible interactive maps of the Trail. What began as a test project to map 3 urban areas (Twin Cities, St.Louis, and New Orleans) unfolded as an extensive project to map the enitre corridor. Trail users can now access maps on mobile devices to guide their course along the river and read about sites of interest with a single click. To view the interactive maps of the Mississippi River Trail and learn more about the project, click here.